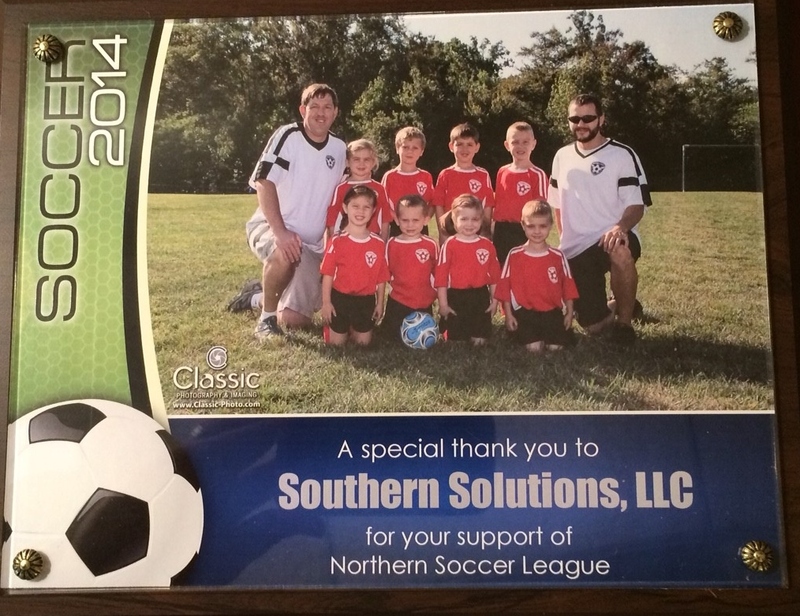 Southern Solutions is proud to once again support the Northern Soccer League for the Spring & Fall 2014 seasons. This makes our 4th consecutive year supporting this extraordinary league. The St. Mary’s Northern Soccer League is a non-profit, educational organization whose mission is to foster the physical, mental and emotional growth and development of northern St.Mary’s county youth through the sport of soccer at all levels of age and competition. For more information, click here: http://www.smnsl.org/. Here is the Fall picture of our team!